Water is a powerwasher's best friend, but a nightmare when trying to maintain pavement. 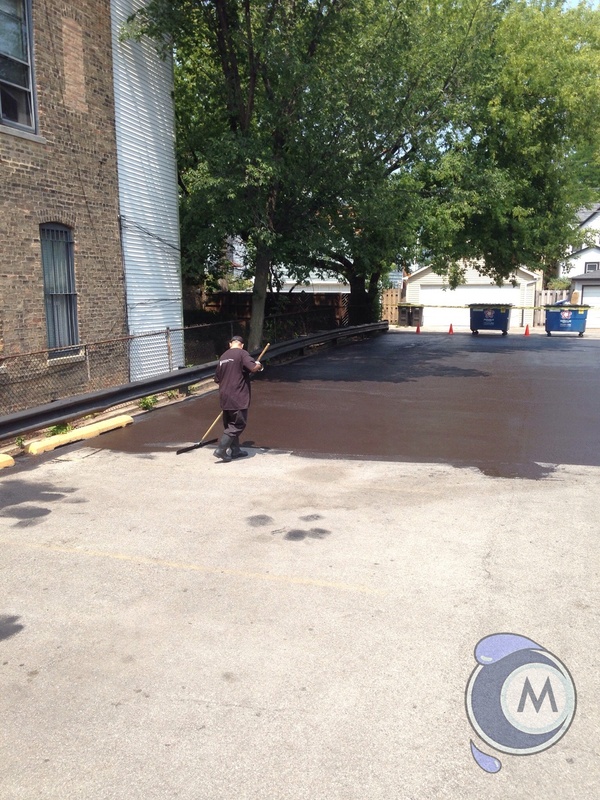 Appropriate and timely sealcoating helps protect the asphalt in parking lots and driveways. Regular maintenance can save you the time and money it would take to make costly repairs. Most asphalt in temperate climates including the Midwest is mixed to be somewhat elastic, so as to withstand a wide temperature gradient. Anyone living in the Midwest knows we see the full range of freezing winter weather to scorching summer highs, sometimes all within the same week! But the same elasticity in asphalt that makes it flexible, also allows water seepage. Without appropriate sealcoating, water enters the pavement and slowly erodes the material by expanding and contracting with the ambient temperature. What starts as small erosions form into larger cracks and eventually a pothole. Sealcoating every 2-3 years creates seals small defects and prevents water from even entering the pavement. Sealcoating stops the erosion process by replenshing the top layer of the asphalt. The material creates a permanent bond on top of the pavement. The proprietary product used by Maximum Kleaning reduces water seepage and reduces damage from oil and other debris. Ensure your parking lot and driveway not only make the right first impression but are protected from costly future repairs.